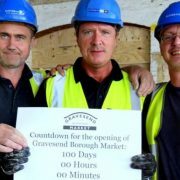 The 10 August marked 100 days until the official opening of Gravesend Borough Market. 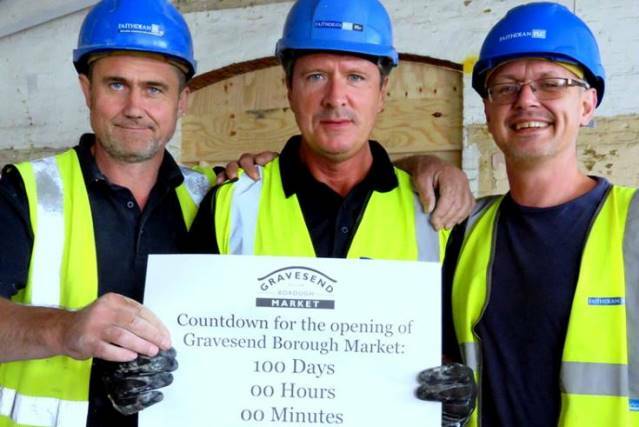 The refurbishment program, managed by Contractors Fairthdean Plc, is progressing well and the Market is opening on Saturday 19 November. The last few weeks have seen a number of noticeable changes take effect including the new glass ceiling which has transformed the inside of the historic hall. Other changes include the painting of the exterior timber, the removal of the corner wall to allow for the new glass wall and the newly painted steel beams in “Antique Grey”.